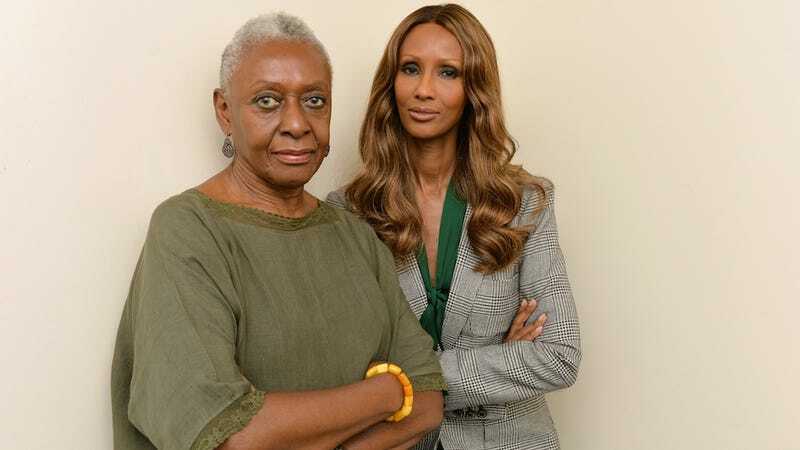 Great news: the amazing and incomparable Bethann Hardison — former supermodel and agency owner, founder of the Balance Diversity campaign and outspoken critic of fashion's abysmal track record when it comes to showcasing diversity — will receive the Council of Fashion Designers of America (CFDA) Founder's Award, which is the organization's top honor. According to Fashionista, CFDA President Diane von Furstenberg announced the honor during an interview with Naomi Campbell at the SiriusXM offices, which Hardison attended. "When she said it I knew she wasn't joking, but I couldn't believe it," Hardison told Fashionista. "I looked right at Naomi and ran into her arms and started crying." Last year, Hardison launched a campaign to "name and shame" designers who only use white models; in September she sent 115 letters to specific designers and labels — including 26 members of the CFDA — lambasting them for hiring exclusively white models ("No matter the intention, the result is racism... It can no longer be accepted," she wrote). The runways and campaigns of the following season showed a slight improvement, which is mildly encouraging, but only a starting point. "I don't look at the numbers, I look at what I see on the runway. If I see two girls in the show that weren't there before, that's an improvement. If I see five girls booked by a designer who hadn't [hired any black models] before, that's an improvement..."
She also notes that diversity has increased in fashion editorials as well: "I'm very proud of Anna Wintour – her January, February and March issues. It just makes you feel good, the way it looks." In addition to all of that, the fact that the CFDA is honoring her with such a prestigious accolade is extremely heartening — it means that industry insiders are listening and that they recognize she's right.